This youth sized tee shirt features a quote by President George W. Bush on the back, Some folks look at me and see a certain swagger, which in Texas is called walking. 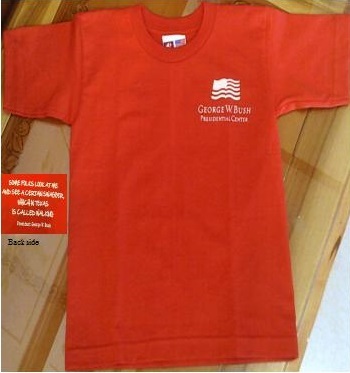 The shirt also has a pocket image of the Presidential Center logo on the front. Made in America with 100% Texas grown cotton.